SouthLAnd First: Twitter contest redux! 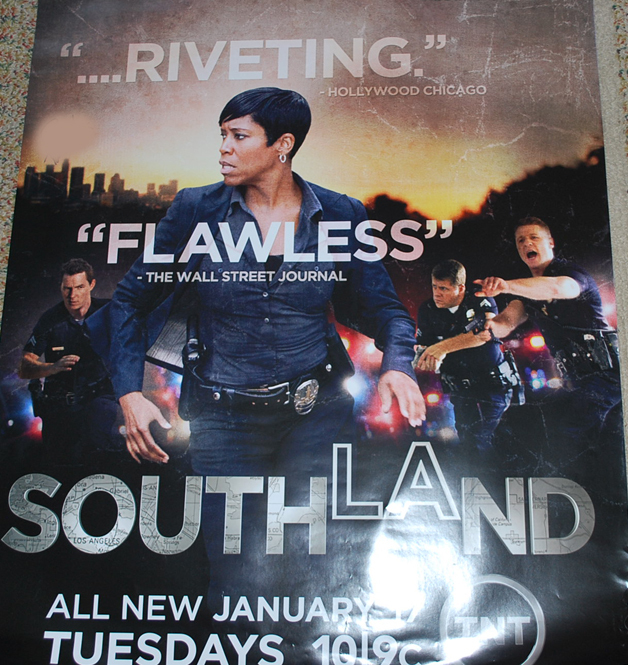 Our first Twitter contest promoting the premiere of season four was such a success we at SouthLAnd First decided to do another to promote the season finale. And the prize just got sweeter! 1. To be eligible, you must follow SouthLAndFirst at Twitter. 2. Beginning March 16 and continuing through the 19th, at approximately midnight EST, SouthLAnd First will tweet a "tease" question for the finale with the added text, "Watch the #SouthLAnd finale Tuesday night at 10E/9C on TNT." On the 20th, we will simply tweet the added text. 3. All Twitter accounts that retweet will have their account names and the number of days they RTed submitted for a random drawing to determine the winner. Our previous contest winner was announced here. 4. The winner will be announced March 28 at 10 EST in the chat room here at SouthLAnd First. 1) A season four SouthLAnd promotional poster signed by a cast member. 2) A $20 egift certificiate from Amazon.com to hopefully be used towards the purchase of SouthLAnd episodes or DVD releases. THANKS SO MUCH! We appreciate your participation and support throughout the season and let's encourage everyone to watch the finale!